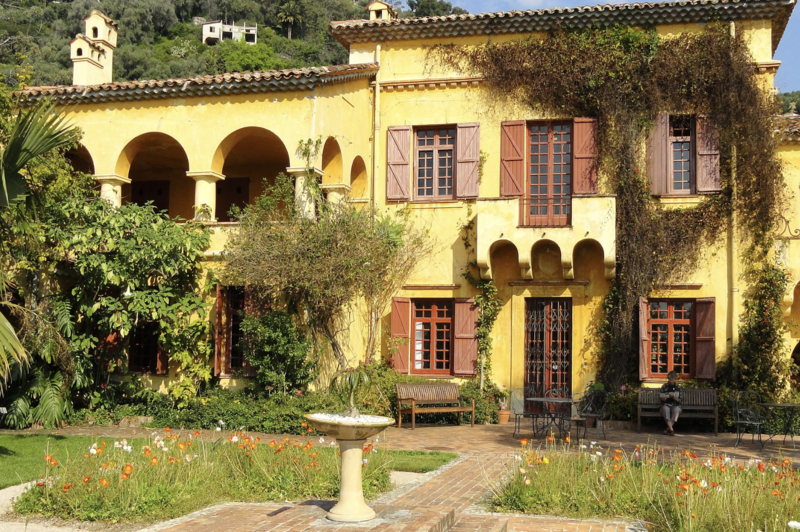 There are many great gardens dotted along the Côte d’Azur between St-Jean-Cap-Ferrat and the border with Italy. Along with the artists, many gardeners were drawn to the Riviera, attracted by both its climate and its beauty. The legacy of these 19th century gardeners still survives, giving inspiration to today’s visitors. We will be staying at the 4-star Hôtel Napoléon (www.napoleon-menton.com), which has a pool and overlooks the bay. We will dine at a selection of restaurants at the nearby marina and in the centre of Menton, reachable on foot or by our minibus. Our first visit will be to a garden in Italy, the famous Hanbury Gardens at La Mortola. Established in the late 19th century, the garden has an impressive collection of exotic and tender plants and banks of cascading scented flowers. 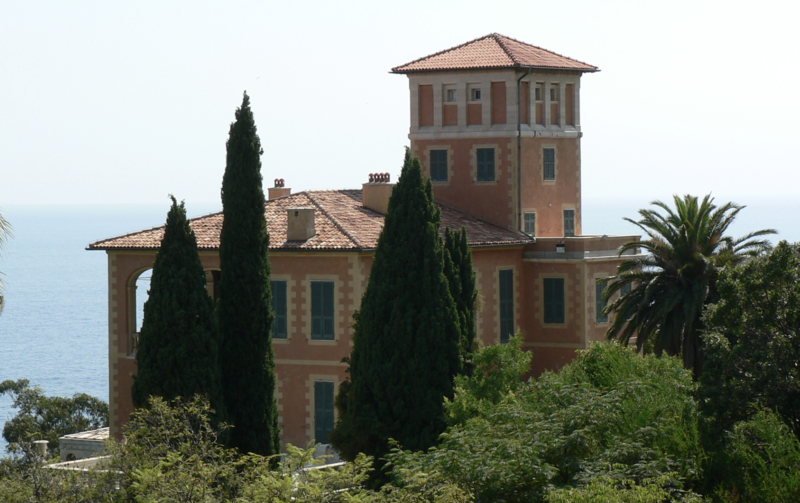 Later we go to Villa Piacenza Boccanegra in Ventimiglia. Since the 1980s Ursula Piacenza has cared for and expanded the garden created by Ellen Willmott in 1906. We drive to St-Jean-Cap-Ferrat where we visit the Villa Ephrussi de Rothschild, as famous for its art collection as for its gardens, which harmoniously combine formal and contemporary styles. The villa was built between 1905 and 1912 for the Baroness Béatrice de Rothschild in the most beautiful spot on the Cap Ferrat peninsula. Nine gardens surround the villa, each with its own distinctive and contrasting theme. Later we go to Villa Kerylos, a contemporary and stylish recreation of a classical French villa. Today we walk to the Val Rahmeh Botanical Garden, close to the hotel. The garden (now an outpost of the French Natural History Museum) was developed from 1905 by Lord Percy Radcliffe, and in the 1950s many unusual plants and trees began to be added by subsequent owner May Campbell. Next we go to Serre de la Madone, the private hillside garden made by Lawrence Johnston of Hidcote Manor garden in the Cotswolds. The rest of the day is free for you to explore the pretty resort of Menton. Today will be spent in nearby Nice, where we visit the Marc Chagall Museum, originally intended to hold the 17 canvases of The Biblical Message, which depict scenes from Genesis, Exodus and The Song of Solomon. Today, it holds many other works by the artist, primarily those inspired by religion. After lunch at one of our favourite restaurants in the flower market, we visit the Musée d’Art Moderne et d’Art Contemporain and then the Musée Matisse. The Waterfield family have owned Clos du Peyronnet since the early 20th century. William Waterfield has made much imaginative use of fountains, ponds and cascades which enhance the artful landscaping. 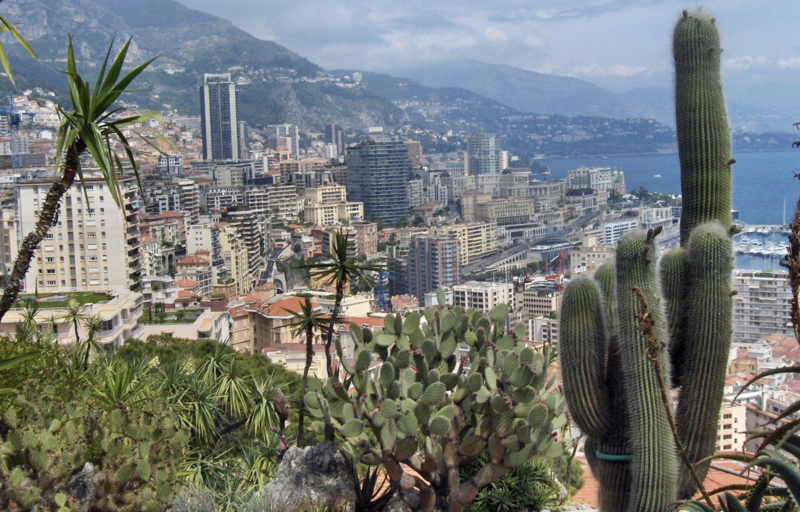 During the afternoon we will drive to nearby Monte Carlo to see the impressive collection of succulents and cacti at the Principality’s Jardin Exotique. After a day of independent exploration in Menton (and an opportunity in the morning to buy cheese, charcuterie and fresh fruit and vegetables at the famous covered market) we dine at ‘Mirazur’, where Argentinian chef Mauro Colagreco has won two Michelin stars.